Life & Mind Psychology are passionate and committed to helping you get what you want out of life. 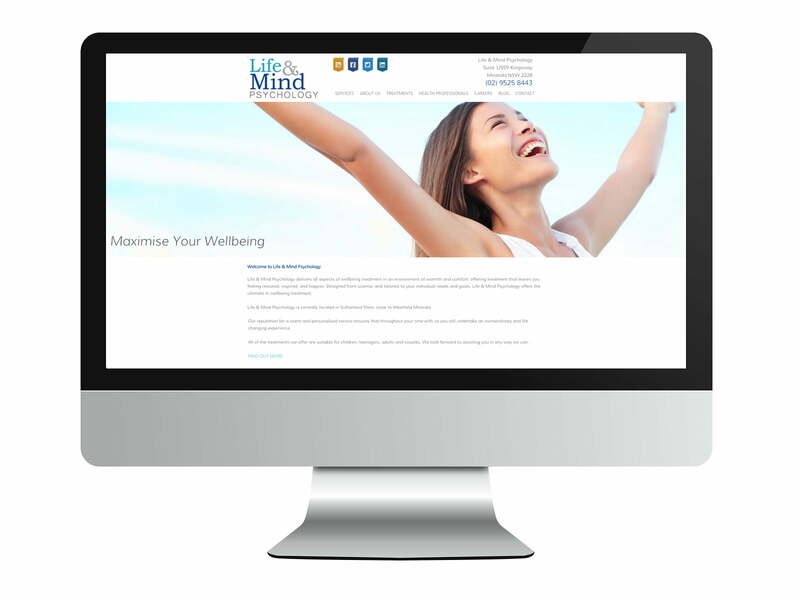 Life & Mind Psychology look forward to helping you by treating a wide range of difficulties such as anxiety, depression, stress, relationship problems, and eating disorders. Skype consultations available. This website has a fresh, uplifting design with easy to use functionality. Using WordPress as our CMS, we built a website that guides visitors smoothly through clear, well-structured, content-rich pages. Keeping with the clients brief, we used a modern, fresh approach to design for an uncluttered layout with peaceful imagery and tranquil colours to promote a very positive user experience.